(APN) ATLANTA — This article is providing a broad overview of the Partisan Primary and Non-Partisan General Election races for positions in Fulton County taking place on May 24, 2016. Previously, in part one, APN looked at State House; in part two, at State Senate; and in part three, at Public Service Commission and U.S. Congress. Changes to Fulton County Government Commission Districts included the introduction of staggered elections. Fulton County Commission seats used to all be up every four years: 2006, 2010, 2014. 2014, however, was the last time they would all be held together. The seats are now staggered, and three district seats are up this year. Incumbent County Commissioner Bob Ellis (District 2), an insurance executive, is running unopposed in the Republican Primary, and in the General Election this November. Incumbent County Commissioner Joan Garner (District 4) is running unopposed in the Democratic Primary, and in the General Election this November. It is rumored that Garner may run for the City Council of Atlanta District 2 seat, if vacated by Kwanza Hall, in 2017. Incumbent County Commissioner Emma Darnell (District 6) will face Democratic challenger, and former County Commissioner Bill Edwards (old District 7) in the General Election. Darnell and Edwards were the two most progressive members of the Commission until they were redrawn by the Republican-led State Legislature into the same district, and forced to run against each other in 2014. Darnell won the new District 6 race in 2014. Edwards is again seeking his old seat, although it is rumored that if the City of South Fulton becomes a city, that be may seek a municipal position. Incumbent Clerk Cathlene “Tina” Robinson will face Duvwon Robinson in the Democratic Primary. The Democratic nominee will face Lewis L. Pittman, a legal assistant and Republican, in the General Election. Incumbent Judge Pinkie Toomer is running unopposed. Incumbent Sheriff Ted Jackson, a Democrat, will face off against four Democrats in the Primary: Charles Rambo, a retired sheriff deputy; Richard Lankford, a retired sheriff; Tommy M. White, a civil servant; and Walter M. Calloway, who is involved with school safety and security. Two candidates are seeking the Republican nomination for Sheriff: Ben Cowart, a business owner; and Shurron Green. The Democratic and Republican nominees will face off in the November General Election. Incumbent County Surveyor William Daniel III, a Republican, will face Democrat Arnaud D. Huguet, a Civil Engineer, in the General Election. 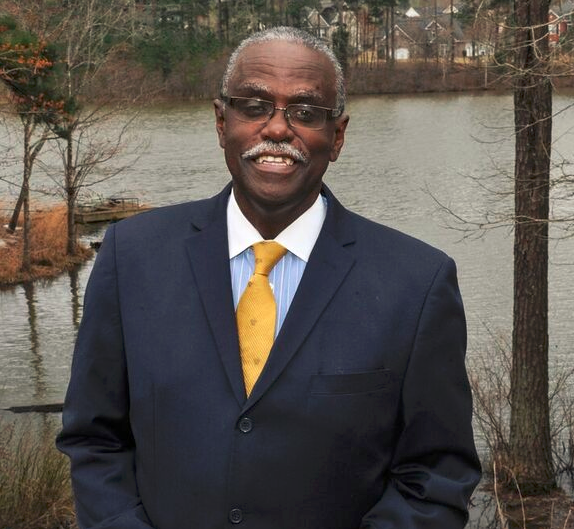 Incumbent Tax Commissioner Arthur E. Ferdinand, a Democrat, will run unopposed. In this non-partisan race, incumbent Fulton County Board of Education (BOE) Member Katha Stuart (District 1) will run unopposed in the May General Election. In this non-partisan race, incumbent BOE Member Gail J. Dean (District 3) will face Mustafa Karadeniz, a computer engineer, in the May General Election. In this non-partisan race, incumbent BOE Member Linda P. Bryant (District 4) will run unopposed. There are seven incumbent State Court Judges running for reelection, without opposition: Diane E. Bessen; Jane Morrison; Myra H. Dixon; John R. Mather; Susan Eichler Edlein; Patsy Y. Porter; and Wesley B. Tailor. There are three Democratic candidates for Fulton County Solicitor General: Clinton “Clint” Rucker, the Chief Senior Assistant District Attorney; Keith Gammage, an attorney; and Teri Walker, an attorney. Incumbent Carmen Smith is not seeking reelection.